The luxurious Ionic wetroom panel is crafted from 8mm glass and comes with a wall profile and stabilising bar as standard. The glass is treated with Mershield Stayclear, a special protective coating to ensure the glass maintains its sparkle and keeps it easy to clean. With additional options such as swivel or cube panels and a vertical post, you can tailor your wetroom that best suits your space. 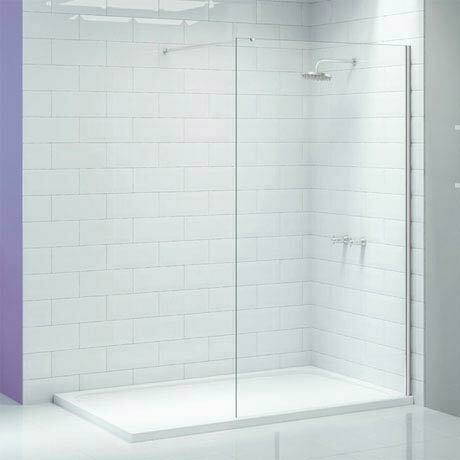 Before purchasing please take note of the wetroom panels measurements (min/max adjustments). We recommend a minimum opening of 500mm for any wetroom area.